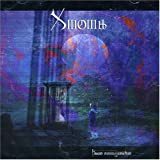 XINEMA is another interesting addition to the growing number of Prog bands coming across the sea from Sweden. 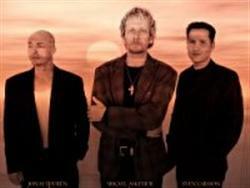 XINEMA is a three piece prog/melodic rock band, and has existed in it's present form since March -99. Their music can be described as melodic emotional, well played and with a profound intention of making each song a working entity. The band's motto is: "- A good song is always a good song, regardless of genre." XINEMA takes great pride in their strong musical integrity, and has always done things their own way. This gives at hand that there's no obvious choice when it comes to placing them a specific genre. The guys themselves feels that they are standing with one leg in the melodic/AOR field, and with the other in the progressive realm. This release will please fans of SAGA, ASIA, RUSH and the likes. The three members of Swedish outfit Xinema originally played together in a band called Madrigal in the late Eighties. It was only when meeting up in the late Nineties that they thought that it might be fun to go back and revisit some of the Madrigal material and record a CD for themselves. But as time passed, the very fact that they were under no pressure meant that they had produced an album that they felt might be appreciated by a wider audience than just the band themselves and it is this album that has just been released by Canadian label Unicorn Records. This is prog that has a light heart; it is music that needs to be taken seriously but not so seriously that it isn't enjoyed. My initial feelings on the album was that they were definitely influenced by Saga and while that is still the case there are also some more commercial elements which give the album a more acceptable air to some progheads. It is 'respectable' music, music that is pleasant and complex while not being hard work, much closer to Nineties Genesis than to that of the same band twenty years earlier. A Swedish trio consisting of singer/multi-instrumentalist Mikael Askemur, guitarist Sven Larsson of Galleon fame and drummer Jonas Thurén.The three of them had played in a band called Madrigal during the 80's and a chance of meeting each other after a decade gave birth to Xinema in 1999.They started reworking some of Madrigal's material, a work in slow progress, as there was no real intention to push this dream too far, until they received a call from Michel St-Pere of Unicorn Digital and went to Canada to record their debut. ''Different Ways'' saw the light finally in 2002. There is a good reason why Michel St-Pere decided to come in touch with Xinema, as they play more or less the style performed by his own band Mystery around the time.SAGA-influenced AOR/Prog Rock with emphasis on melodic parts, warm singing lines and careful keyboards with little instrumental room and plenty of easy-going parts.However Xinema seem to lack the basic components of the genre: Melodies that impress the listener, very strong songwriting and even Mystery's more bombastic moments.The music, although far from uninteresting, sounds often flat and sterile, lacking any kind of dynamics, while there is a certain feeling everything has been played by another band in the past.The presence of Sven Larsson translates into some nice guitar moments, but the style chosen prevents him from going too far with his talent.There are also moments when Xinema sound a lot like the easy stuff of MAGELLAN.Among the mess of mediocre compositions there are a few which show the band's true potential like the catchy opening ''In the Scent of the Night'', the groovy and memorable ''Timing'' or the closing ''Blind Is the Light'' with its nice keyboards. Not among the very best releases of the style.Rather forgettable Melodic Rock/AOR with only a sense of Prog in some tracks, which are too few.Stick with it only if you are a true fan of the style...2.5 stars. Xinema plays a basic neo-prog music tinted with some heavy sounds as more bands of this genre are experiencing nowadays (Talk). One can think that the two long suite type of songs will be different. Especially while one is listening to the symphonic music available during the intro Awakening of the first of them (Speak To The World). But the band reverts to its neo style rather quickly. Actually, the shortest parts of this suite are the ones that differs most: symphonic for the first one, classical for the second. What goes around these is not bad; but lacks of character. Only the closing part from Communication is slightly better thanks to the work from Sven Larsson on the guitar. I would have been glad to listen to more moments like this one (same scheme for Life The Way I Knew It). There aren't any improvement during the second long piece of this album: Ghost Of A Memory starts on some easy listening but heavy neo-prog (Nothing). The fourth part is even flirting with some metal riffs. I can not be laudatory about this album: there are really too few good songs in here to be an enjoyable affair. Average is the word that best describes this Basic Communication. The only standout moments are the excellent guitar breaks from Sven. Two stars and pretty basic indeed. The good point with this album is to tell us that not all bands coming out of Sweden are great ones. This album is very much AOR oriented, or neo-prog at best. Some songs might be of appeal but I'm desperate to mention one standout track in here (maybe the closing piece Blind Is The Light). Vocals are usually pleasant, but the problem is their musical style as well as the song writing. When they try and switch for a more romantic mood, it is not any better, unfortunately. I fully agree with one reviewer who mentioned that you don't really need to put a lot of attention while listening to this album. It might do its job as background music, but no more (Across The Styx being a good and mellow rock ballad which is above average). 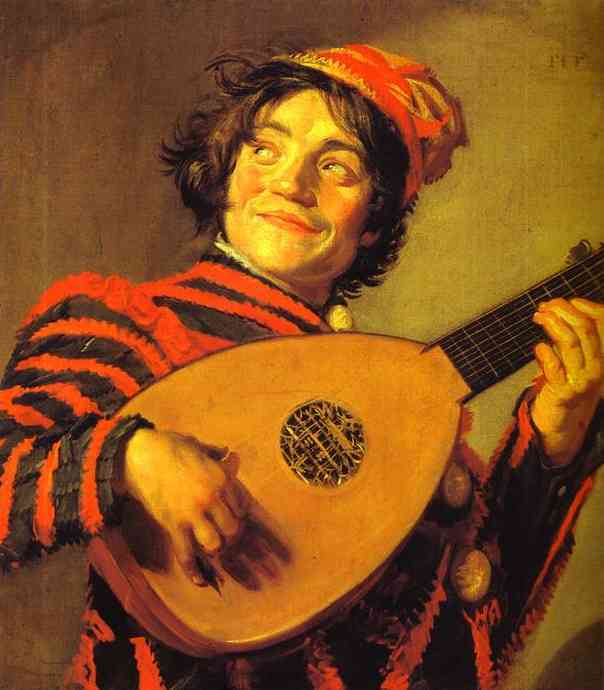 It is true to say that if there aren't any great songs, blunders aren't too many either. It is more the overall mood of the album that is annoying. Easy listening and very accessible music. From time to time, it might do the work (very good guitar for instance during the instrumental break in the closing part of Distant Lights) ; but I wouldn't recommend this album. Different Ways is an average album. Two stars. Second release of a very promising band. I have to say that this release is a bit disappointing. Xinema drifts away from the path of their debut album to fall into commercial temptations. Seems as if their inspiration is vanishing. This is still a good album, but the high standard set with the debut has no match yet. Four stars, or maybe 3.5 to be really honest. These guys should sit down, think and get back on the line they set in their first album. The quality is there. Xinema captures the best of Saga's universe to explore it on their own. The band has an overwhelming influence from that band, but they have captured the essence of their style and dare to walk the way they opened while creating new golden bits here and there. I've always considered Saga as one of the most serious contributors to progressive rock (yes, I know, here they are rated as "prog-related", something that puzzles me greatly). Capturing the concept and expanding it by honest contribution is something to be glad for. I'm drifting away of this review. Xinema is a great band, with huge potential, and they are on the right lane to achieve it. Simplicity while keeping complex interplay between bass, keyboards and guitar is not an easy task. Bands like Xinema are specially gifted to create this kind of music, and it deserves some recognition. Five rock-solid stars for these guys. This is a Swedish trio, they know each other from the Eighties because as the progrock formation Madrigal they played prog inspired by Genesis, Rush, Yes and Kansas. Then the members went their own way, sometimes they met again and in the late Nineties this led to a new effort to make music with each other. 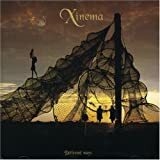 In 2002 they released under the name Xinema (they had to change their name because of another Madrigal) an album with lots of early work but in 2006 Xinema finally released new work. Their sound is a pleasant blend of neo-progressive rock and melodic rock featuring lots of great guitar work, almost every song is coloured by the guitar player, from sensitive and compelling to raw and fiery with often howling runs. The vocals sound inspired, the rhythm-section plays tight and the keyboards have a bit functional role but in some tracks we can enjoy flashy synthesizer soli, classical orchestrations and even the impressive sound of (sampled) church organ. The climates in the 14 tracks ranges from mellow to mid-tempo with sursprising musical ideas like spacey keyboard work (the short song Awakening), subdued with Grand piano (Live The Way I Knew It) and lush keyboards and a fiery guitar solo in the final track Dust In Your Eyes. A very pleasant album that will appeal to especially the neo-prog fans. Fresh, different and very melodic in an unusual way. This is truly an example of all parts becoming one. Excellent and unusual bass lines, strong and complex drumming coupled with very profficient guitar work and appropriate keyboading. the vocals complement the music well; leaving a very pleasing album. Over the 12 tracks the only disappointment is the brevity of the tracks - no development or extensions, each track is brief and to the point. Having listened to the album countless times though this shortness in no way detracts from the overall feeling. Though I have written this review in hindsight having now got their new album (and reviewed it) this album stands out in my collection and proudly sits in my most listened category. Excellent album, excellent muscianship, excellent sound quality. Well done XINEMA. This is one of those occasions where a full star rating is deserved. I was so impressed with their first album and then I heard that a second was finally in the offing, I eagerly awaited the arrival and then... I was somewhat disappointed, sure all the ingredients of the XINEMA sound were present but the freshness of the first album was missing... Over the 12 tracks of DIFFERENT WAYS each track was brief and one was left to rue the missed opportunities of development. Here on BASIC COMMUNICATION the development is present but it becomes couched in wooliness and waffle. I hoped that my initial disappointment would go after a few listens but sadly I have to admit defeat - this album doesn't live up to my expectations though the production and musicianship again is very high - the overall effect has to warrant a lower rating than I would have hoped to have given. Sorry XINEMA but I'm sure you can do better.